M.L. Doyle, Matthew Hefti, and Randy Brown were part of a panel titled "The Middle Americans: How Flyover Country Responds to War." 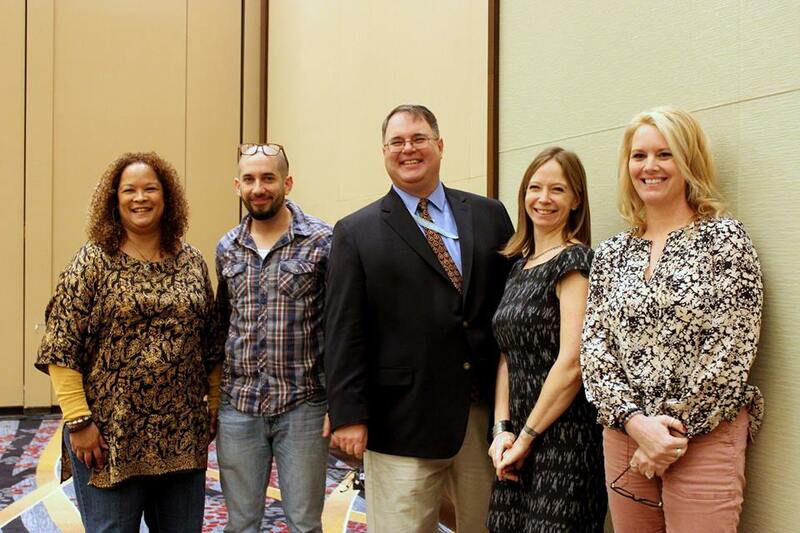 I attended my first national conference of the Association of Writers & Writing Programs in Minneapolis, 2015. At that event—an annual gathering of 12,000 writers, editors, publishers, instructors, and academics—I was impressed with the number of offerings that focused on war themes. These included both panel discussions and author readings. While I skipped Los Angeles in 2016, I vowed that I'd help add to the war-writing conversation by proposing a few such events for the 2017 conference in Washington, D.C.
As I quipped at the end of this year's event, paraphrasing that ubiquitous quote attributed to Gandhi, "Be the proposer of panels that will contribute to the change you want to see in the world." The 2018 event will be held in Tampa. The window for event proposals will open in mid-March, with final deadline of May 1, 2016. I thought I'd document and share a few lessons-learned, in hopes that other war-writers will add their voices to the mix. Moderators/organizers can propose up to three events. A maximum of two can be accepted. Prospective participants can themselves be listed on up to three event proposals, but can only be on two accepted events. Of multiple proposed events, only one can be a "reading." You have 500 characters—not words, characters—to describe your proposed event. You have an equal number of characters to describe the qualifications of your panelists. 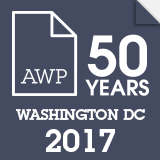 Acceptance rates for AWP event proposals averaged around 39 percent for years 2013-2016. In 2017, I was fortunate to have two out of two approved. At their respective links, you can read my 500-character descriptions for "Citizen-Soldier-Poet; How to use Poetry to Bridge the Civil-Military Divide" and "The Middle Americans: How Flyover Country Responds to War." That's because the words you use in your pitches are the words that show up in the conference agenda. Find panelists who represent diversity in age, gender, color, life and work experiences, and publishing experience. Strive for balance. 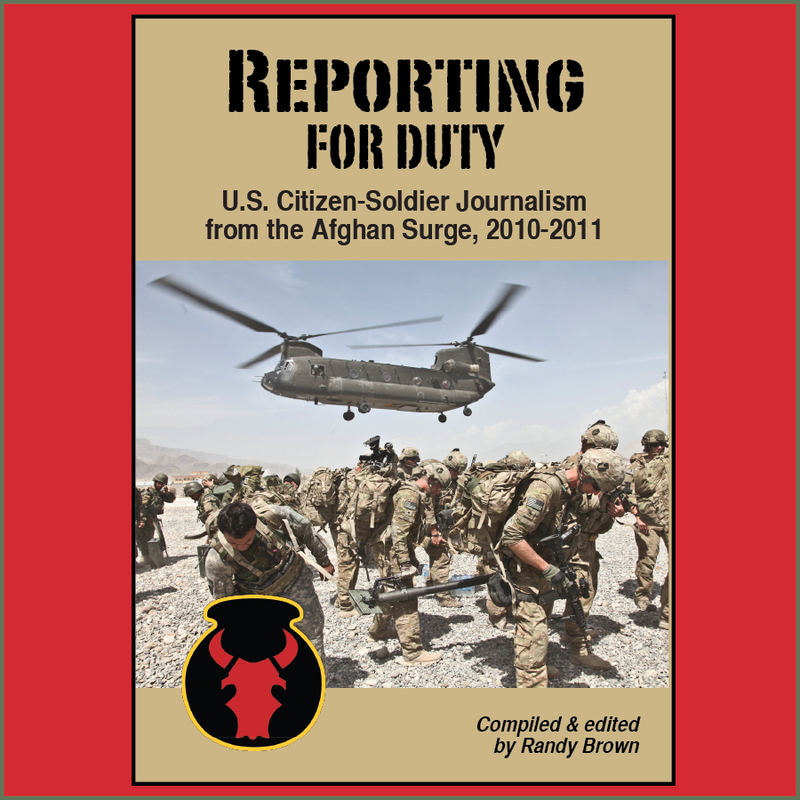 In the war-writing context specifically, I subscribe to the notion that every citizen has an experience with the topic of war, regardless of whether or not they've ever served in uniform. Remember: "We're all in this together" and "Everybody has their own war. " In our two sessions, then, we featured both civilians and military veterans, from a variety of branches and deployments. Some were just starting out in their publishing careers. Others had multiple published book credits. I'd like to think that, in many ways, our panels demographically reflected our audiences. And we can always do better! Panel math is like beer math: Keep it simple, and know your limits. Don't show up with a list of 10 in-depth, doctoral-thesis questions. Narrow it down to two three formal questions. Make sure to share those prompts with your panelists prior to the event, so they can consider their responses without over-rehearsing. Assuming five panelists, if each panelist responds to a given question with a 3-minute answer, three questions will eat up 45 minutes. This will leave 20-30 minutes for questions from the audience. (Depending on venue and schedule, some audience members may have to leave earlier than the official 75-minute end-time.) People like Q&A. Most likely, the people in your audience are fellow practitioners. They want to interact with your panel. Engage them in conversation. As moderator/organizer, I arrived to the conference a day early, on Wed., Feb. 8, to make sure there were no unforeseen obstacles. The AWP registration staff helped me run a last-minute check on whether our panelists had properly registered for the event. I also helped coordinate one panelist's last-minute request for press credentialing on behalf of a Washington, D.C.-based media contact. I'd told my colleagues on our Thursday morning panel that we'd meet at the Veterans Writing Project's table (seize the key terrain!) on the Bookfair floor, and walk together to the conference room. One panelist, however, had spent an hour Wednesday getting eyes on the target, and determined out that our Thursday morning venue wasn't as easy to find as I'd assumed. Instead of being located in the convention center, it was one-quarter mile below ground in a hotel across the street from the main venue. His early-bird information saved us from collectively showing up late and in the wrong place. Also, our second panel, unlike the cozy meeting space of our first, turned out to be located in a ballroom the size of a small airplane hanger. You get the space you're randomly assigned, of course, but knowing that ahead of time would have been good information to share with my fellow panelists. With only 15 minutes between events, conference schedules often get in the way of exchanging business cards at the end of panel event. Our fix was to publish a two-sided 8.5 x 11-inch hand-out for each panel, complete with author published credits, and contact information. Listing complete biographies cuts down on spending valuable discussion time on introductions. Also, offering public-facing ways of communication (e-mail, Twitter, Facebook, etc.) gives introverts an easier way to contact authors after the conference. Following our poetry panel, one of our colleagues was immediately approached by a literary journal editor, who inquired regarding a work that had been read aloud. So, having debuted at AWP, the poem will soon see print, later in 2017! It's all about helping make connections! We published 50 hardcopy handouts per session, assuming that number would likely exceed our maximum attendance. (We had from 35 to 50 people attend each session.) 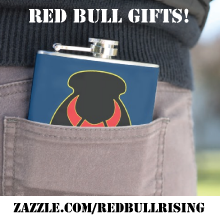 Just in case, however, we also posted a link to an electronic copy of each document at the Red Bull Rising blog. Later, we posted MP3 audio files of each session. Not production-quality, but good enough for note-taking. When the original files proved too huge for his iPod, a blog reader helped us out by compressing those files for easier portability. David Abrams, author of "Fobbit" and the forthcoming "Brave Deeds," in his "Quivering Pen" e-newsletter here. Eric "Shmo" Chandler, at the "Shmotown" blog: "Guts, Generosity, and Gratitude: AWP17 Highlights"
Matthew Komatsu: "Hugging It Out at #AWP17"
Peter Molin, at the "Time Now" blog: "The Watched Pot Begins to Boil: War Writing at AWP17"
Andria Williams, author of "The Longest Night"; editor of "The Military-Spouse Book Review" blog; and Official Photographer of the War Writers Social Club, offers some words here. Today is Fri., Feb. 10, 2017. I'm pleased to be moderating the following session at the Association of Writers and Writing Programs convention in Washington, D.C. As previously noted on the Red Bull Rising blog, this is one of many AWP2017 sessions related to war-writing. Session F110: "The Middle Americans: How Flyover Country Responds to War"
Fri., Feb. 10, 2017: 9 a.m. to 10:15 a.m.
By various measures, rural Americans are more likely to enlist in the US armed forces. Despite isolation from traditional centers of publishing and military power, voices with Midwestern roots have sprung forth like dragon's teeth to deliver clear-eyed, plainspoken views of war, service, and sacrifice. 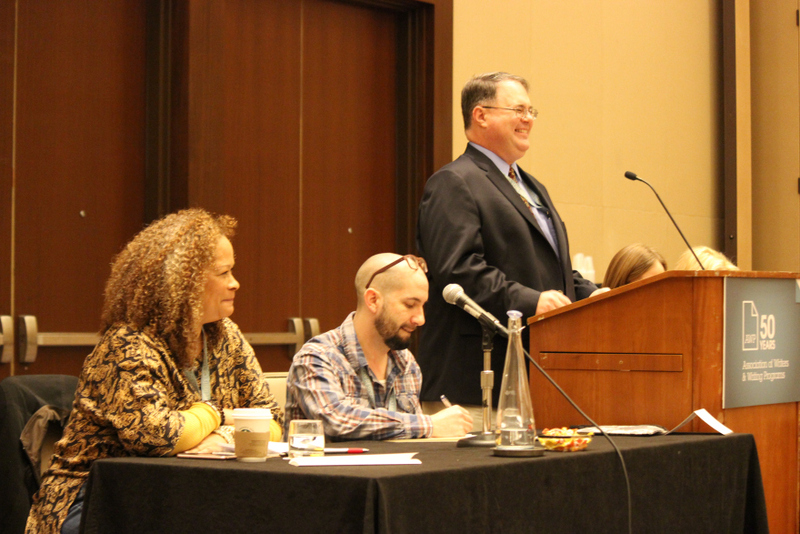 The civilians and veterans of this stereotype-busting panel of published writers offer their insights regarding themes, trends, and markets in fiction, nonfiction, and poetry. A downloadable PDF listing of panelists, including biographies and contact information, is here. Today is Thurs., Feb. 9, 2017. I'm pleased to be moderating the following session at the Association of Writers and Writing Programs convention in Washington, D.C. As previously noted on the Red Bull Rising blog, this is one of many AWP2017 sessions related to war-writing. 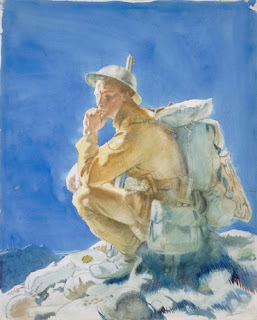 "Citizen-Soldier-Poet: Using Poetry to Bridge the Civil-Military Gap"
Thurs., Feb. 9, 2017, 10:30 to 11:45 a.m.
With a boot on each side of the civil-military divide, America's citizen-soldiers and their families are uniquely positioned to bridge the gaps between our armed forces and the society they serve. Five civilian and military-veteran writers of poetry, memoir, and fiction read from their works and discuss how they have specifically used poetry in published, practical ways to promote peace, respect, understanding, and empathy. A downloadable PDF listing of panelists, including full biographies and contact information, is here. Blog-editor's note: Much of this post first appeared on the Red Bull Rising blog Nov. 2, 2016. The annual Association of Writers & Writing Programs (A.W.P.) national conference is this week, from Feb. 8 to 11, 2017. It will be the 50th anniversary of the event. This year, it's being held in Washington, D.C. While the motivational value of networking with fellow travelers and cocktails with friends should never be discounted, much of the intellectual energy of the conference is to be found in panel discussions and presentations. Good topics challenge our perspectives and presumptions, and it is particularly notable that AWP2017 includes potential conversations about transnational, multimedia, gendered/queer, poetic, regional, and "imperial" interpretations and applications of conflict, both past and present. In the spirit of Sherpatudes Nos. 1 and 15, here's what we know so far about "war writing" panels, presentations, and readings at AWP2017. After a quick-and-dirty Internet search, some of the authors below are linked book listings at Amazon. I have also annotated Military Writers Guild memberships in brackets. I look forward to filling in more biographical information in the weeks to come—each of the panelists, I believe, are worthy of seeking out, regardless of an easy hyperlink. Also note this list does not include off-site events, which can be expected to grow in number and intensity in the months to come. One final caveat: The writer of the Red Bull Rising blog is participating in two of the following panels. Please direct corrections and suggested edits/additions to: sherpa AT redbullrising.com. Thursday, Feb. 9, 2017: 9:00 to 10:15 a.m.
R121. Writing in a Time of Terror and Environmental Collapse. (Imad Rahman, Jacob Shoes-Arguello, William Wenthe, Anne Sanow, Jacqueline Kolosov) How do writers give shape to the experiences of war, terrorism, and the disregard for life endemic on this planet? Muriel Rukeyser believed that denying the responsiveness to the world could bring forth "the weakness that leads to mechanical aggression... turning us inward to devour our own humanity, and outward to sell and kill nature and each other." Given global terrorism and the spoliation of the planet, the stakes in being able to respond are terribly high. Writers working in poetry, prose, and hybrid forms, will discuss their ways of meeting this challenge in their works past and present, including the difficulties they face and the sources from which they take inspiration. In nonfiction, is it ever okay to fudge facts, timing, or quotes? For journalists, the answer is no, but literary authors can struggle with the balance of craft and facts. Nonfiction storytelling is an increasingly hybrid form, yet few creative writing students learn the journalism basics—how to interview people, attribute sources, or successfully incorporate research. This panel of print and broadcast journalists emphasizes the magic combination of accurate reporting and literary technique. Thurs., Feb. 9, 2017: 10:30 to 11:45 a.m. Thurs., Feb. 9, 2017: 1:30 to 2:45 p.m. This panel features four war writers who are adapting verse and memoir into more public modes of expression: stage, screen, opera, and performance. The panelists will discuss the challenge of moving beyond the word to theatrically present the events and emotions inherent to combat and military life. Offering insight into issues of craft and collaboration, the panel explores how private modes of literary representation can be transformed into dramatic artworks produced and experienced socially. Cash donations, an advising team, focus groups—and a book? Barack Obama’s 2004 book, Dreams From My Father, started the recent trend of politicians who first hint at a national campaign by releasing an autobiography. Join the discussion as a literary agent, a novelist and former Pentagon speechwriter, and professors who study English and public relations critically examine these books from literary and marketing perspectives. Can a book be promotional and still have literary merit? Fri., Feb. 10, 2017: 10:30 to 11:45 a.m.
Narratives about war and military life present unique challenges in workshop. How does personal trauma become a story? How can a teacher with no military experience advise a veteran? Or vice versa? Should war writers be encouraged to consider, say, the stories of Iraqis? How do gender and race enter the conversation? The panel pairs teachers of writing with students at work on narratives about war and the military. All have experience in MFA programs or veteran workshops like Words After War. Fri., Feb. 10, 2017: 1:30 to 2:45 p.m.
U.S. military infrastructure in the Pacific enables both global US imperialism and the militarization of local communities there and throughout the US. Join five poets with ties to Okinawa, Guåhan (Guam), Vietnam, the Philippines, and Hawai‘i as they invite the audience to collaboratively envision how writers can use language and performance in our local, national, and international literary spheres to resist the linguistic and cultural violence of military imperialism. Five winners of the Main Street Rag Poetry Book Award from 2009 to the most recent will read from their books. The reading will be moderated by Main Street Rag's publisher. Fri., Feb. 10, 2017: 4:30 to 5:45 p.m.
A perfect time capsule of the diverse, experimental trends in American literary publishing, Prairie Schooner’s ninety-year legacy of uninterrupted quarterly publication charts the course of a little journal on the prairie and its path to becoming a key player among literary journals, publishing major contemporary American voices alongside an increasingly global list of contributors. Hear poets and fiction writers read work that speaks to where we’ve been and where we’re headed next. Sat., Feb. 11, 2017: 9 a.m. to 10:15 a.m. When writers of poetry, creative nonfiction, or fiction serve as overseas correspondents, the narratives they craft are deeply felt and unique. From travel and interpreters to notes and drafts, these writers ventured to the fringe to experience their stories. This panel explores how four writers chased curiosity into endangerment to bring back stunning portraits of war, disease, humanity, and environment in crisis and how they teach ways to write literary reportage in workshops and MFA programs. Sat., Feb. 11, 2017: 10:30 to 11:45 a.m. Since before the Iraq War began in 2003, Americans have worked to understand Iraq: a country incomprehensible to many of its own citizens. The major and minute divisions and the competing desires can overwhelm even the most conscientious observer. The participating American writers of this panel have lived and worked in Iraq. Bringing home Iraq's realities, whether through poetry, fiction, documentaries, Instagram, plays. or operas, is an act of delicate artistic and cultural translation. Sat., Feb. 11, 2017: 1:30 to 2:45 p.m.
S206. The New Normal in Nonfiction: Diverse Voices in Nonfiction from The Normal School. (Jericho Parms, Jaclyn Moyer, Sarah Minor, Steven Church, Matthew Komatsu [MWG member]) Four nonfiction writers representing diverse backgrounds, experiences, and perspectives consider questions of race, identity, family, culture, and consciousness. 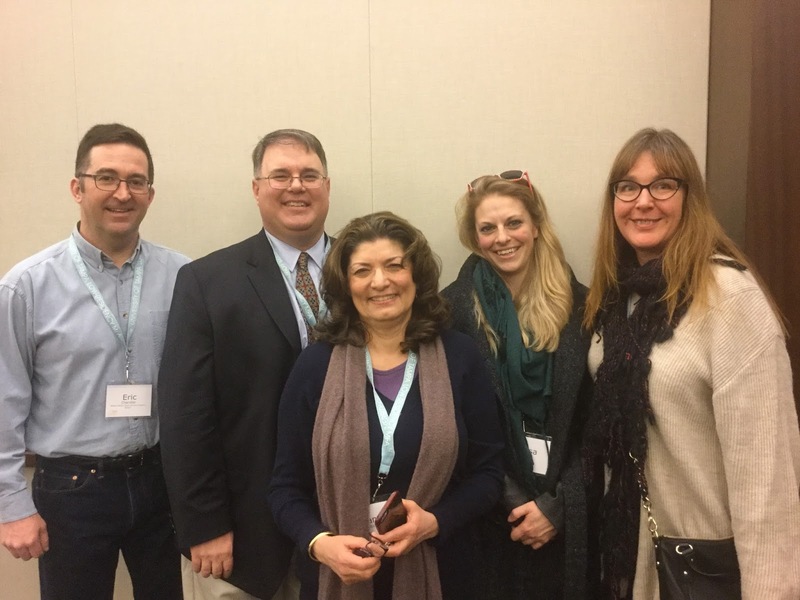 Representing emerging writers, students, farmers, first-book authors, and tenured MFA program faculty, the panel members have all been published recently in the literary magazine The Normal School. They celebrate a variety nonfiction styles, from the more traditional narrative essay to lyric essays and research-driven work. Sat., Feb. 11, 2017: 3 to 4:15 p.m.
As an increasing percentage of the world is plunged into conflict, our panel brings together award-winning novelists, poets, and nonfiction writers to explore how creative writing can shape, distort, and challenge the way we understand war. Drawing on examples from our own work and the work of others, we will discuss the power of the written word in relation to image and other forms of propaganda, and share our personal experiences of how our books have influenced a wider political discussion. Sat., Feb. 11, 2017: 4:30 to 5:45 p.m. The upsurge in literary work by veterans has sparked an interest in teaching writing to this population, but a less-noted phenomenon has been the recent increase in course offerings in creative writing at service academies and military colleges. A panel of writers and teachers who have worked with both veterans and cadets—those returning from war, and those preparing to serve—put these two groups into new and enlightening conversation. How does poetry function in the age of the drone? Can poets avoid the anesthetizing remove enacted by the drone when writing about political subjects from a safe distance? What is the role of poetry in a time of perpetual war—does it, as Auden says, make nothing happen? Five poets read work that shows the different ways poetry reacts to, and interacts with, the idea of the militarization of the drone, targeted killing, and the difficulty of writing about war from afar. The Pulitzer Prize-winning Tom Ricks, who writes the "Best Defense" blog for Foreign Policy magazine and who has been a long-time supporter of the Red Bull Rising blog, is currently running a micro-essay contest (150-word maximum) on the theme: "What should a military professional profess?" "It isn’t as easy as it sounds," he writes. "It can’t be just 'patriotic,' because it should have application to the militaries of other countries. […] I’m asking this now because I suspect we will see some tests of military professionalism in the coming weeks and months." Read his full pitch here. The contest, which is likely only for professional-bragging points, will run through the end of February. Any "winners" (defined as the "best or at least most interesting") will be posted in March. In the meantime, Ricks is occasionally featuring responses he's received so far. You know, to help people get the creative juices flowing. 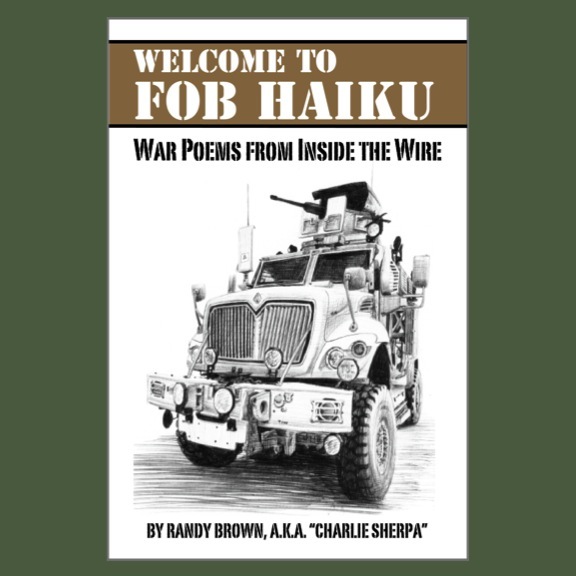 Those familiar with my work in the award-winnng collection "Welcome to FOB Haiku" will not be surprised that my own attempt to address Ricks' question was a series of pithy, Japanese-style poems. for work in the dark. You can read them all here on Ricks' blog.